EastEnders introduced a brand new character last night - and you may be seeing him a little more than you expected. Monday night's visit to Walford offered our first look at troublesome new teen Keegan, who was brought in as a friend of existing regular Shakil Kazemi (Shaheen Jafargholi). Keegan had a pretty memorable first scene, thanks to Louise Mitchell ranting about him being "a total toenail" when he caused her to drop her phone. After a while, though, we realised it might have been quite an accurate description - especially when Keegan boasted to Shakil about how he'd sneakily recorded a girl changing and had sent the revealing footage around the entire school. Theatre school D&B Performing Arts announced Zack Morris's casting in the role of Keegan ahead of his first episode airing yesterday, flagging him up as one to watch. A show insider also told Digital Spy today (January 10) that we'll be seeing more of Keegan in storylines with Shakil, Louise and Bex, as he continues to cement his reputation as a troublemaker. Official spoilers for this Friday's EastEnders have revealed that Keegan will turn his attentions to Bex next, unable to resist winding her up. We can't imagine Shakil will be too happy about that, but are he and Bex any closer to getting back together? 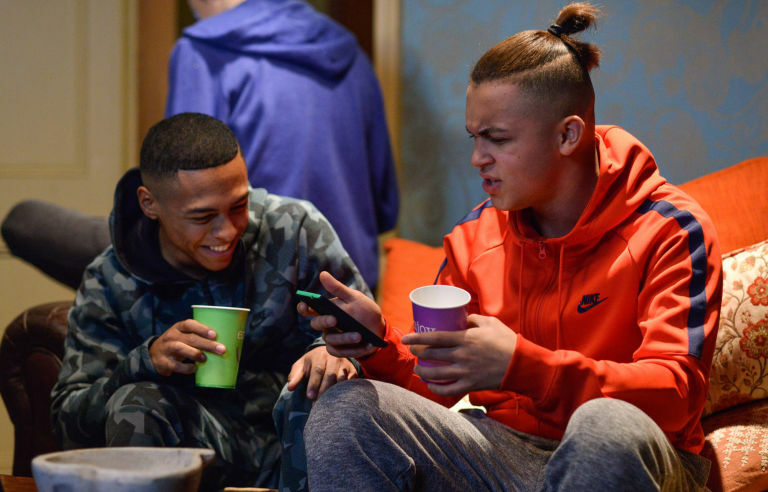 He's Walford's newest bad boy, but EastEnders fans could be about to see a very different side to teenager Keegan Baker. Keegan was introduced late last year as a friend of Shakil Kazemi's, but little else is really known about the troublesome schoolboy – other than he likes to cause chaos. Zack Morris – who plays Keegan – recently dropped some spoilery teasers during a chat with Digital Spy, hinting that his character's past will be brought to the forefront of the story. He said: "We've got some interesting stuff coming up for Keegan, some things that show different sides to him. We'll see different sides to his character and find out why he is the way he is." Watch the video above to see Zack discuss how he would like his character to be the one to stand up to nasty bullies Alexandra and Madison, who have been making Bex Fowler's life a misery for months. Zack was speaking to Digital Spy to promote the show's British Soap Awards nominations. so prison now for knife murdering keegan if carmel was telling the truth? EastEnders star Zack Morris has hinted at a possible romance between his character Keegan Baker and Louise Mitchell. 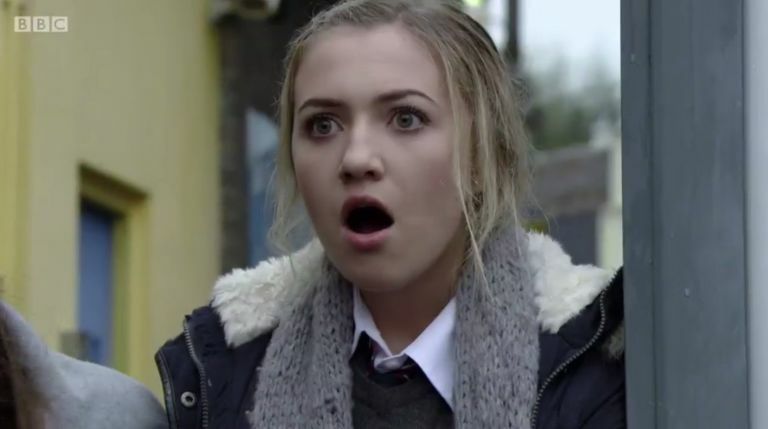 Viewers know that Keegan has been harbouring feelings for Louise (Tilly Keeper) for a long time, but her former relationship with Hunter Owen meant that they couldn't go any further. Since then, Keegan has endured a harrowing few months following the murder of his best friend Shakil Kazemi, but actor Zack reckons it could be time for Keegan to get a new love interest. Speaking in Inside Soap's Yearbook 2019, Zack said: "That would definitely be an interesting road to go down. "Whatever the producers want to do, I don't mind. From the get-go, Keegan's always had a thing for Louise, so whether that's something they will invest in, you'll just have to wait and see. "All I can tell you is that there is a lot of good stuff happening at the end of this year – so watch this space!" Upcoming scenes will see Keegan finally agree to speak to a counsellor, after his grief for Shakil nearly sparked another tragedy last week. Speaking about what else is coming up for Keegan, Zack added: "He is going to need to find ways of dealing with what happened to Shakil. "There is only so much he can do before it starts becoming a strain. He has to find a way of dealing with things, or he will drive himself insane." Predicts red faced blubber man Phil Mitchell trying to roar (unsucessfully), "You stay away from my little girl", and hopefully dropping dead from a heart attack. We couldn't be that lucky however.